Excellent location. Our Housemaid was very friendly and efficent. The waiter in charge of Breakfast was very friendly and helpfull. Great location. Convenient to transportation and very walkable with good map. Safe at night. Generous breakfast with lots of choices. Front desk staff speak some English. Room with window typical size, nice sunny light room. (Prior interior room dark and gloomy). Woman responsible for room change/cleaning on 5th floor was delightful - helpful, pleasant, thoughtful. Brightened our mornings:). 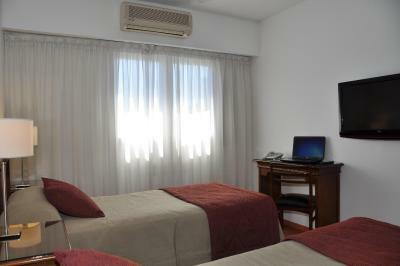 Location is excellent, very close to the metro, buses and train station. The staff is very friendly and useful. The cleaning works better than expected..
Price. 31€ night for a double Room in a good location. Quaint hotel in a gorgeous location with antique stoke buildings. Friendly staff and amazing waiter. It is outdated in some ways, but for the price and location it’s a great find. 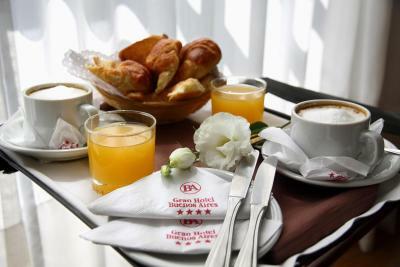 Gran Hotel Buenos Aires This rating is a reflection of how the property compares to the industry standard when it comes to price, facilities and services available. It's based on a self-evaluation by the property. Use this rating to help choose your stay! 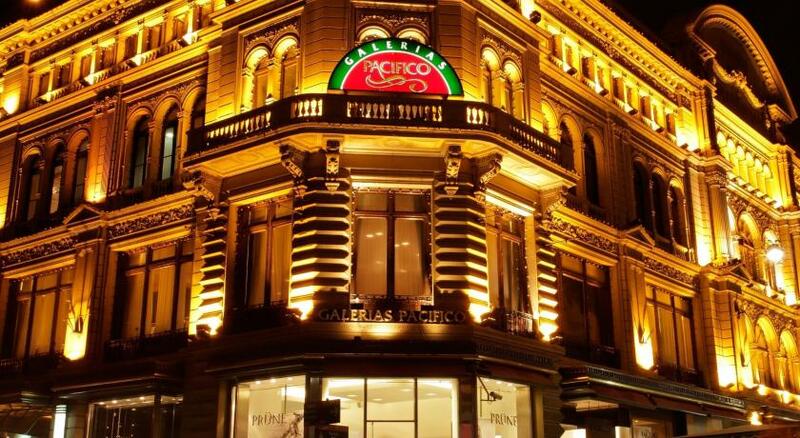 One of our top picks in Buenos Aires.The 4-star Gran Hotel Buenos Aires offers free Wi-Fi in a privileged location next to the San Martin Square, also near the Santa Fe Avenue and the Florida Street. 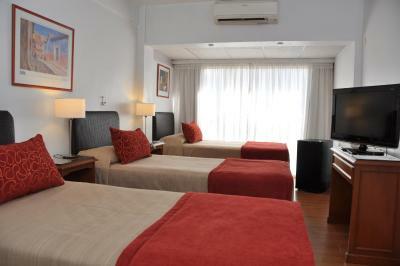 The rooms in Gran Hotel Buenos Aires feature a 32-inch flat-screen TV with 70 cable channels, mini-bar and free Wi-Fi. Room service is available 24/7. Guests have access to a nearby health club, 150 feet away. The hotel offers safety boxes and private parking nearby. 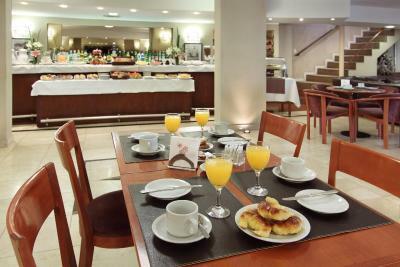 Guest of the Gran Hotel Buenos Aires, are welcome to unwind having a drink at the lobby bar. The restaurant serves home-made food and regional cuisine. 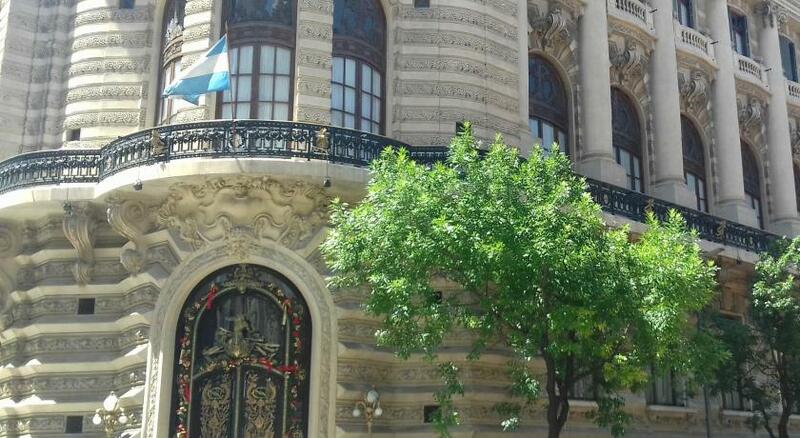 When would you like to stay at Gran Hotel Buenos Aires? 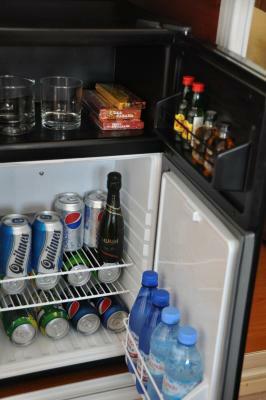 This room features free Wi-Fi, an LCD cable TV, air conditioning/heating, a minibar, and private bathroom with amenities. House Rules Gran Hotel Buenos Aires takes special requests – add in the next step! Gran Hotel Buenos Aires accepts these cards and reserves the right to temporarily hold an amount prior to arrival. For a four star rated hotel this hotel was disappointing. The receptionist who checked me in was aggressive and unfriendly. The other receptionists were sullen. The gym facility advertised was unavailable and there were no bar facilities in the evening. My room looked out over the building site of a massive building project and the workmen began at 6:30am so noise levels were high early in the morning. The bed was clean and comfortable. The elevators are very old and we had to wait very long for it to come. The front desk never had enough cash to change dollars to cordobas. Officially it's a 4 star hotel. Should not qualify for it at it's present condition. Everything somehow works, but the property desperately needs total renovation. A/C inconsistent, difficult to adjust. No hot water in shower on our last morning, but otherwise good shower/tub. Dining room (breakfast) VERY noisy. Nothing to absorb sound. Chair scraping on floors jarring, clanging of dishes being removed loud, etc. Front desk doesn’t bend over backwards to assist guests, but helpful If you persist. The buffet restaurant was awesome! The ratio quality-price is really great! The room is not totally clean and the windows don't open. Breakfast is ok but everyday it is exactly the same. The location is very central and the overall price is good. The staff is nice and helpful. Seems like an old hotel. I couldn't open the window or roller blinds. Rooms need a refresh. Wifi didn't work in the room. The internet was almost nonexistent. Yhe style was a bit outdated.. The staff is not nice at all, I don't think I saw a smile the whole time. The beds are horrible trully horrible, I don't remember the last time I slept in such a bad bed. It was a 4* back in the 90’s ...nothing really changed. 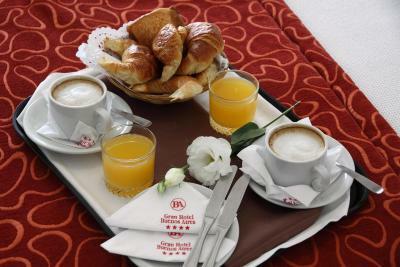 The breakfast is continental...let’s say. We had no internet connection in our room @ 9th floor..something somewhere was broken. 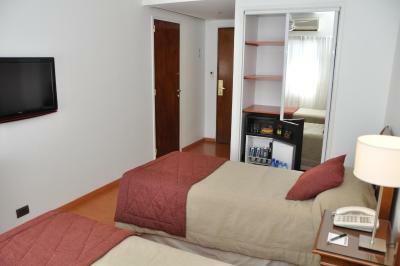 Location is good, walking distance 1-2km from main attractions, train station and harbor. They allowed us to check-in at 08.00am instead of 15.00 so a big plus there and changed our room when we reported an uncomfortable bed (broken mattress). Very helpful staff. Reasonable price for quality of service. We paid 35$/ night. Worst breakfasr ever. Lot of things to eat., really nice presentaron. The coffe and The Orange joice is The cheepest you can find. They really nerd to work on this.